Electric Wall Oven is rated 4.0 out of 5 by 7. Rated 5 out of 5 by Rockdart from easy and simple Just installed with minor adjustments and all is good. Rated 4 out of 5 by Joeyw from Features of value I love the fact that I dont need to pre-set a timer to activate the oven only to get up in the middle of my to those annoying beeps to cancel the timer. Another feature that I love is that there are no side grills to clean the shelve gliders are built into the oven so that eliminates alot of excessive scrubbing. Rated 5 out of 5 by antonia from Simple oven that does the job well. Al l wanted was a simple oven nothing fancy that fit in my budget and that's what l got. The only thing l don't like is that the oven light stays on. 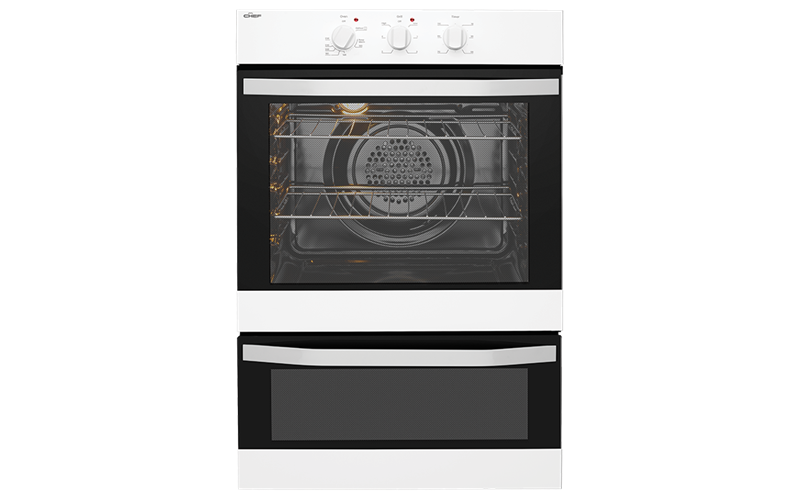 Rated 2 out of 5 by Sev22 from Not enough features Even though it is a fan forced oven, It doesn't cook the food the way I want it too.